The Bush Theatre celebrates its new home and the 400th anniversary of the King James Bible with an epic production involving 66 writers - and an overnight performance in Westminster Abbey. The mammoth project has asked the writers to each take a book of the Bible and come up with a contemporary response. Looking at the list of people involved - Stewart Lee, Jeanette Winterson, Stella Duffy, Billy Bragg, Laura Dockrill, Neil LaBute, Toby Litt, Kate Mosse, the Archbishop of Canterbury to name a small handful - this is going to be an eclectic and fascinating modern look at the book that's shaped our culture. How you see it is up to you - there's a mix of 24 hour performances, evening highlights and that all-nighter at Westminster Abbey, the very place the First and Second Westminster Companies translated the Epistles and Genesis to 2 Kings. Sixty-Six Books starts 10th October and ends 29th October at the Bush Theatre, 7 Uxbridge Road W12. 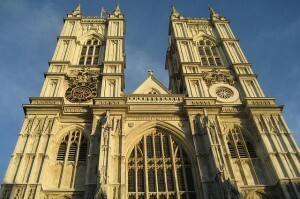 Weekend performances 14th and 28th October (£80 / £60), Westminster Abbey Vigil 21st October (£60 / £40). Other tickets range £10 - £25.